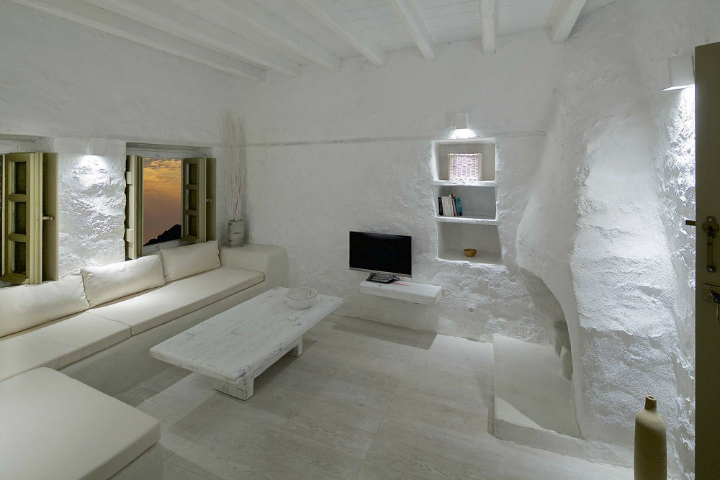 Melanopetra is uniquely situated in the core of the preserved traditional village Emporios on Nisyros, Greece, at an altitude of about 400 meters above the caldera. 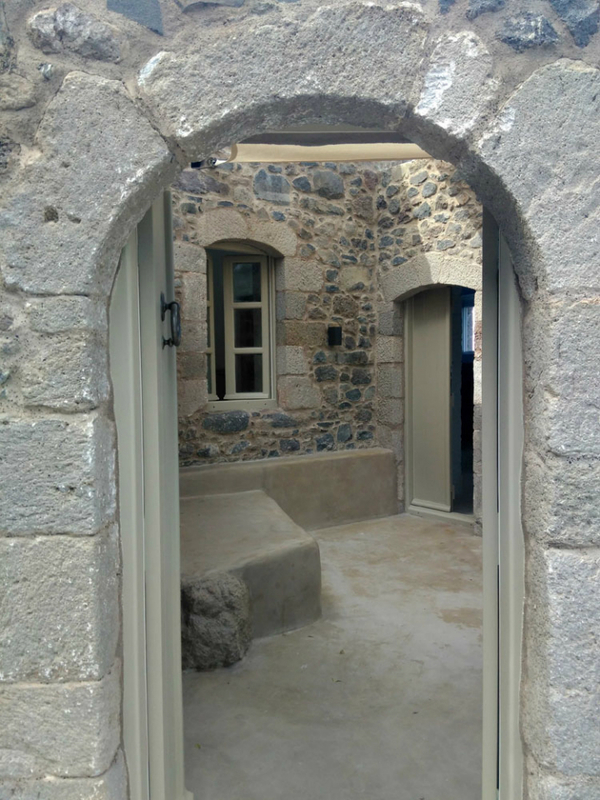 It is an atmospheric two-storey stone villa, built-up around 1850 and totally restored in 2015 under due diligence with respect to the Nisyrian architecture using only eco-friendly primary materials. 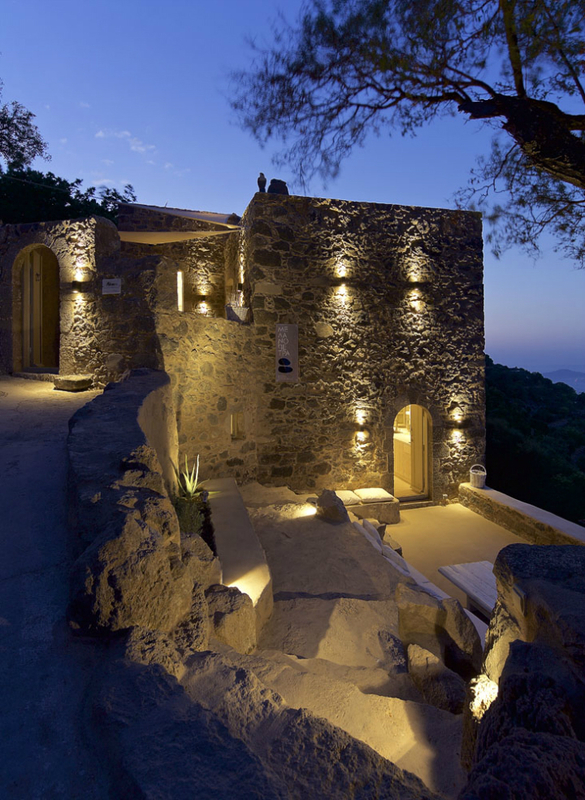 Its name is inspired from the main building material, the local black stone, further enhancing its character. 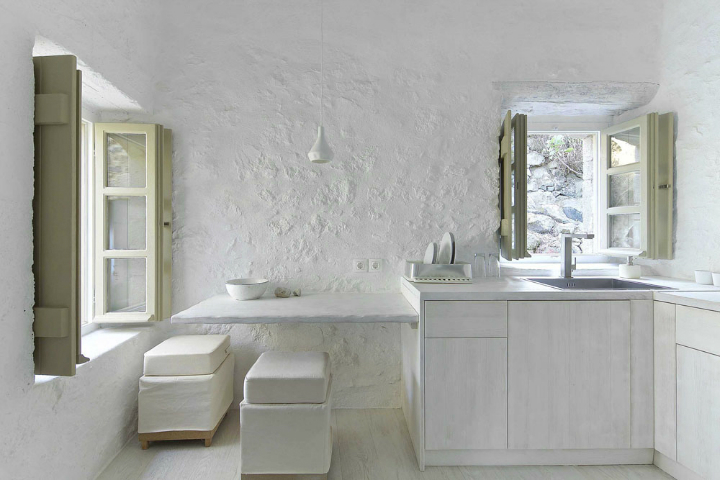 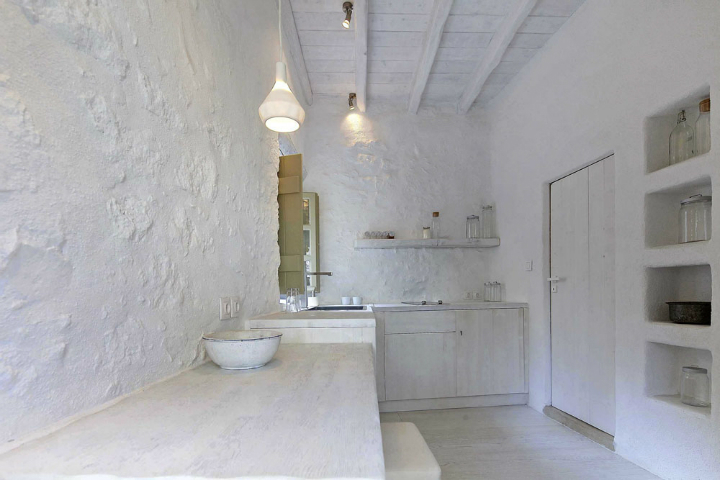 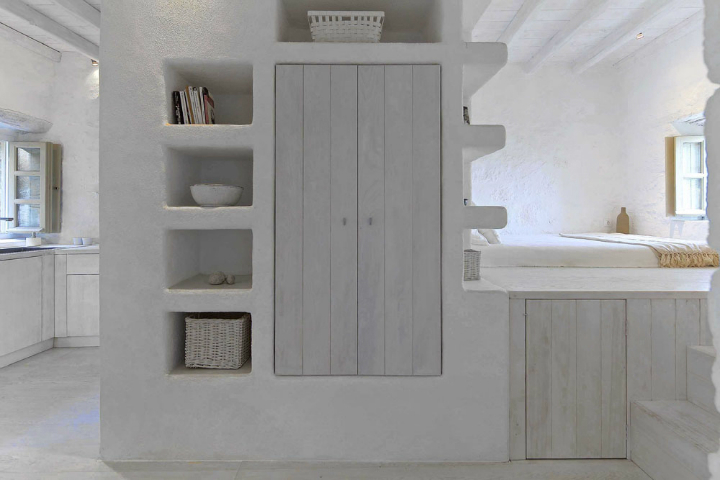 The idea of the project was realized by the owner and architect, Anna Apostolou, who combined her art and love of authenticity and simple beauty with high-quality hospitality. 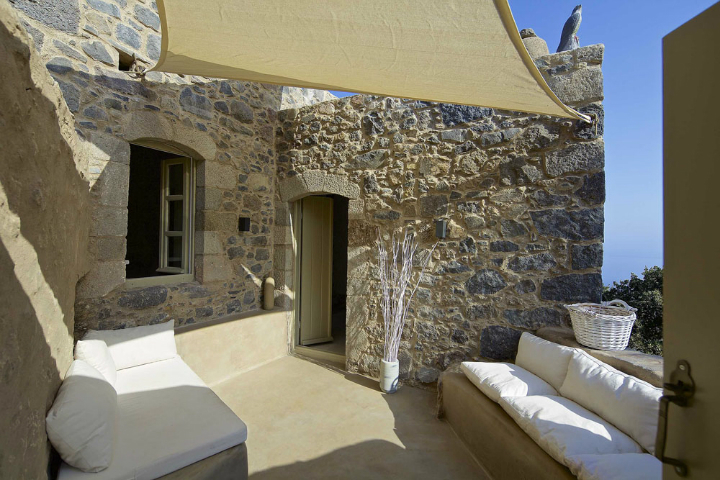 The villa is comprised of two luxury apartments, ample in size, one in each floor, with private entrance and yard. 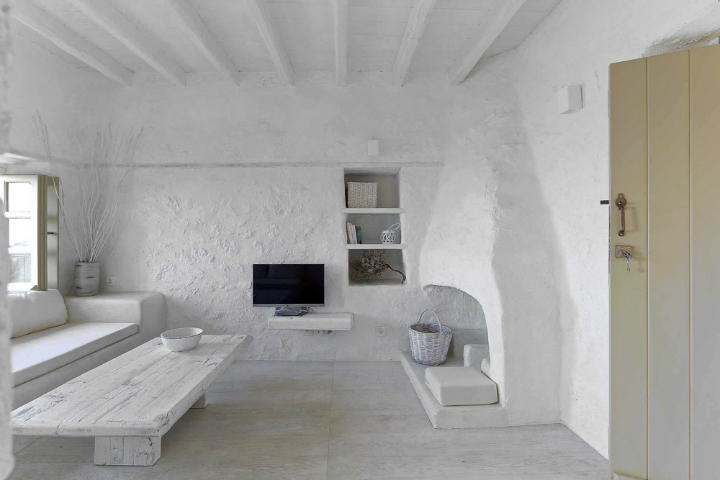 The white minimal interiors with smooth curved edges, rough textured surfaces and simple deco gives you a relaxing ambience and an enjoyable atmosphere. 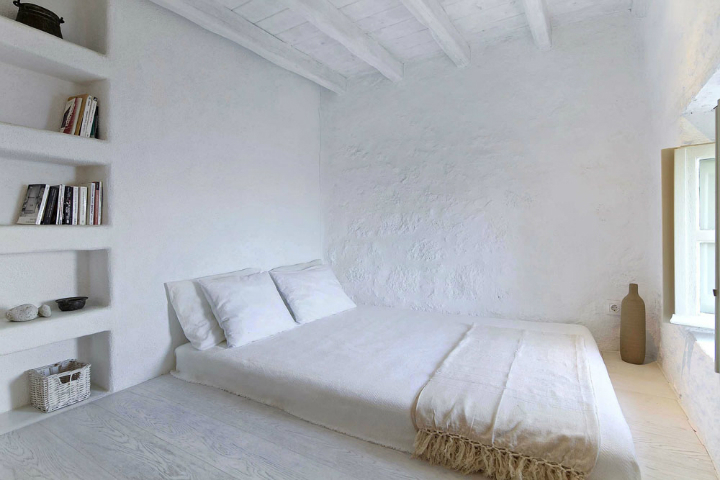 Earthy colors and shades of white are combined with careful touches of linen and cotton fabrics, traditional preserved elements, as well as modern equipment in simple forms. 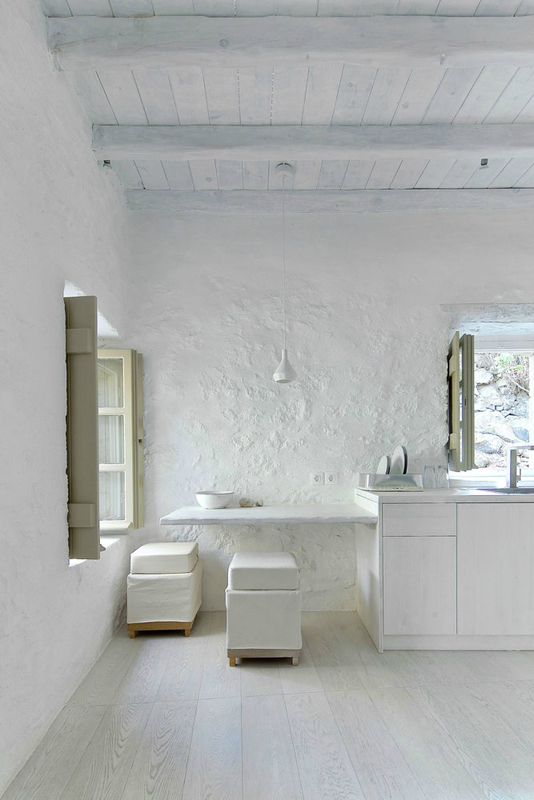 The clear, bright natural light flowing through the small windows brings the texture of the white spaces to life and creates a harmonic, magical ambiance. 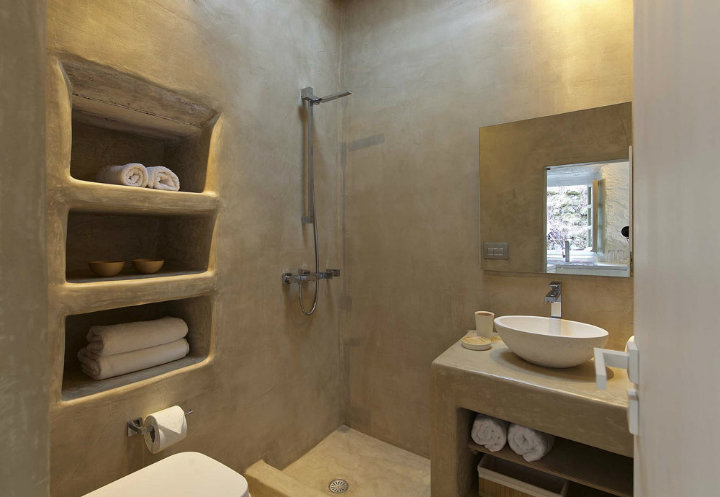 In the sculpture-like bathroom downstairs you can listen to the running water in the preserved underground cistern used for the collection of rain water from the roof. 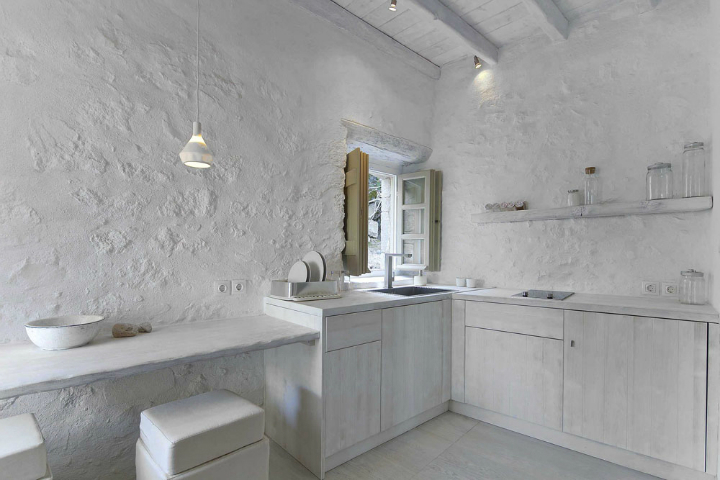 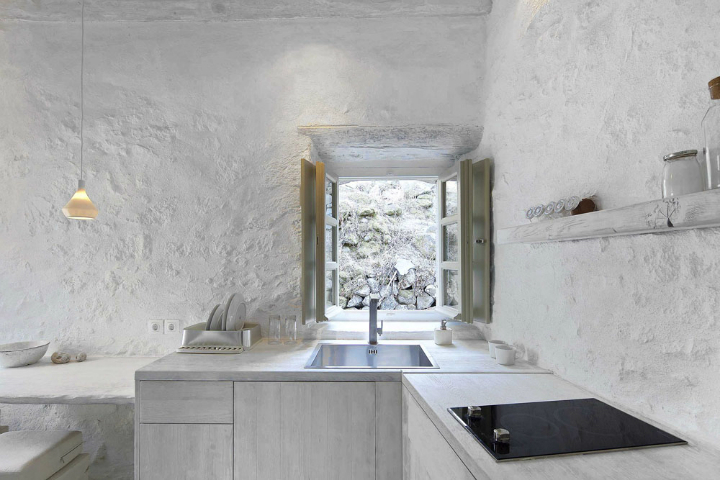 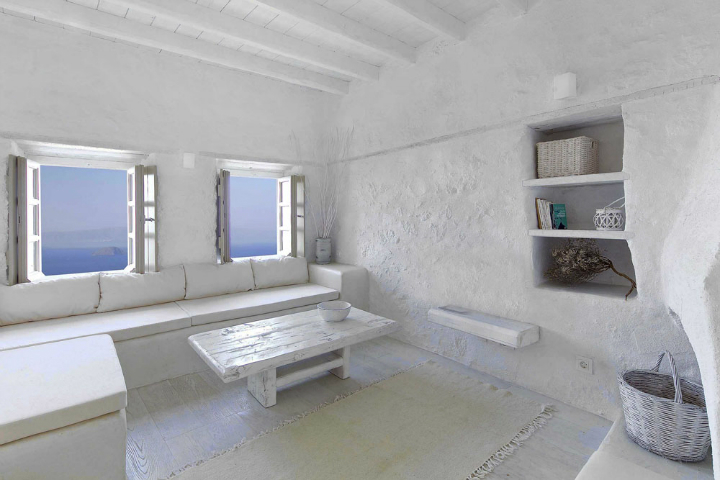 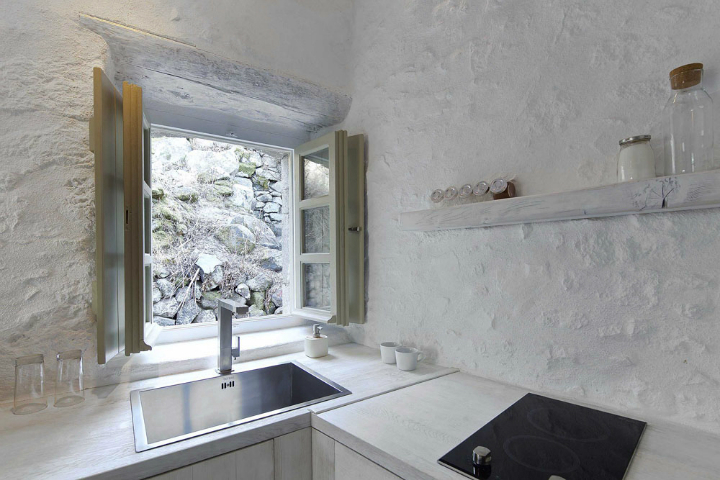 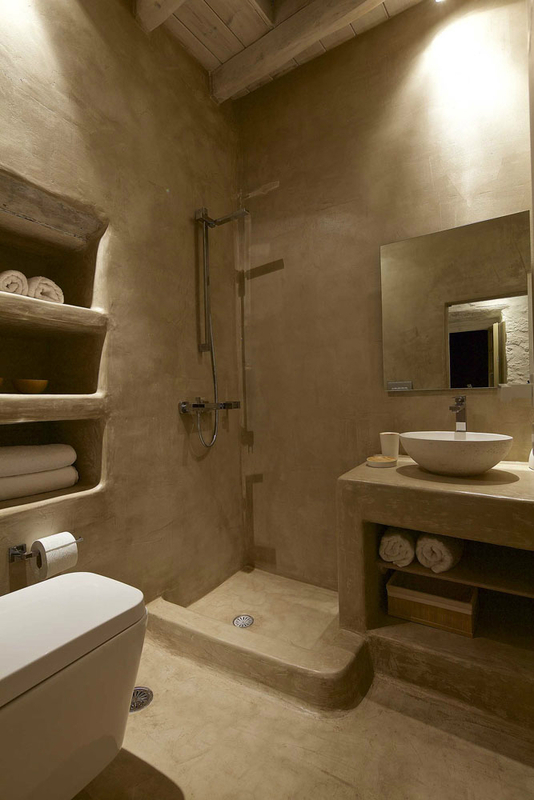 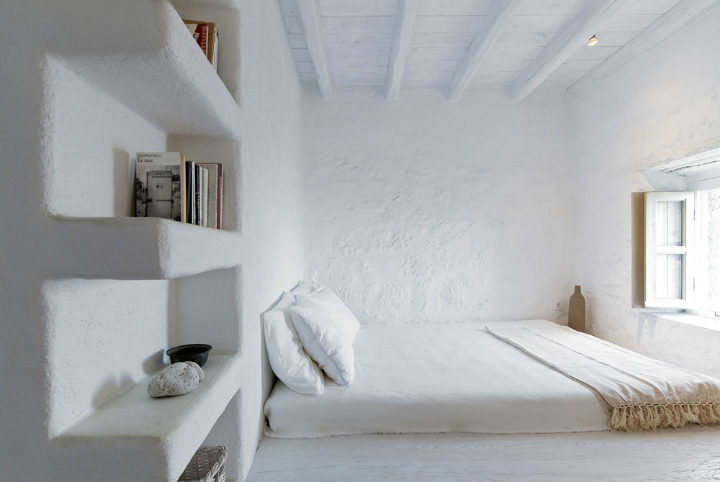 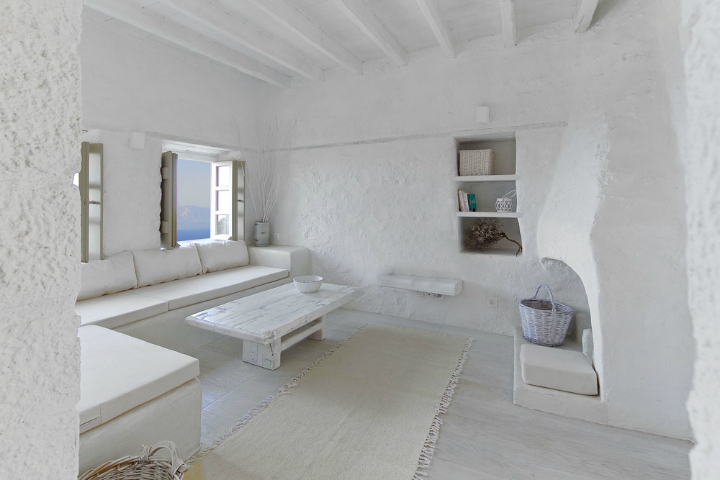 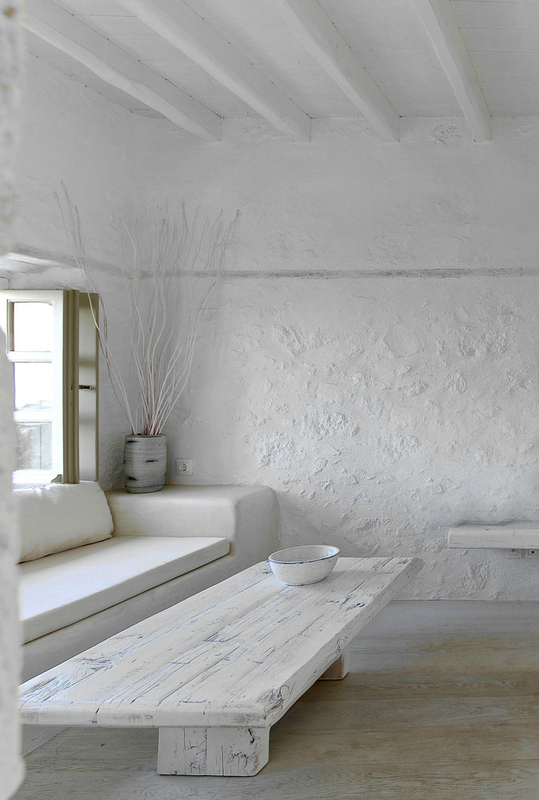 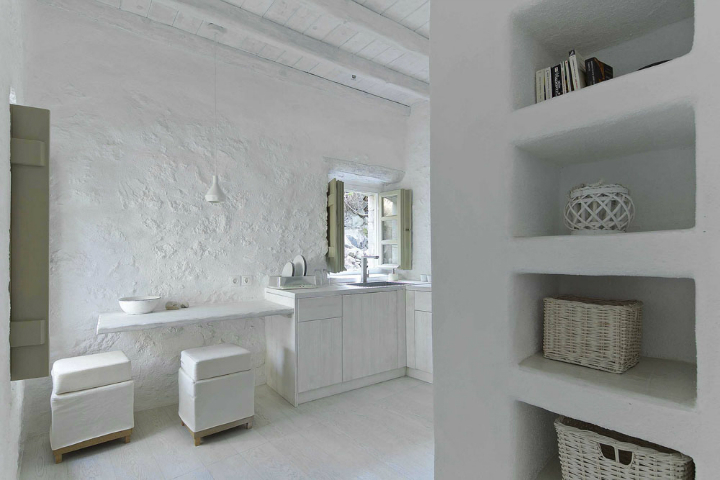 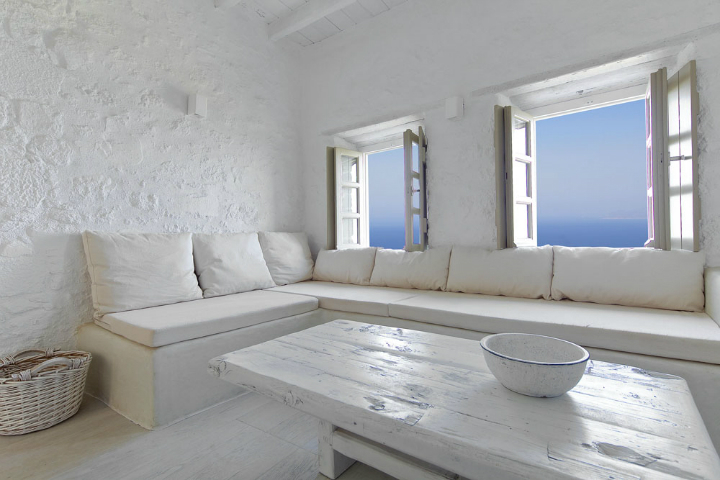 The combination of local volcano stone and minimalistic white interiors offers a unique and luxurious relaxing shelter. 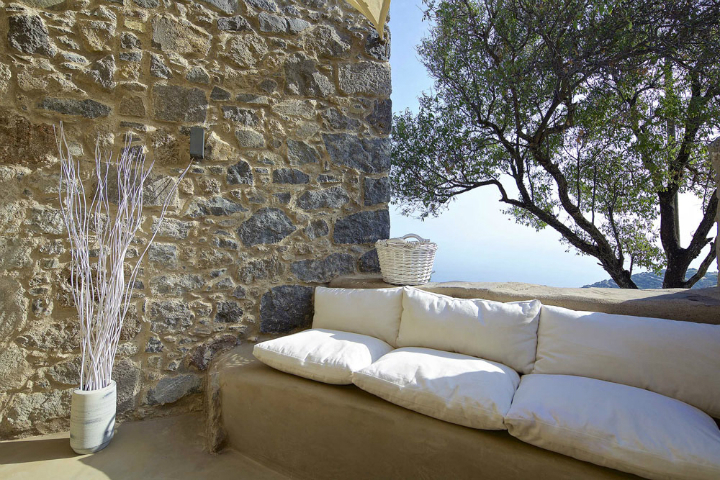 The elegant villa with its surrounding spaces stands like magnificent sculpture which is designed so that each apartment enjoys the same exceptional views. 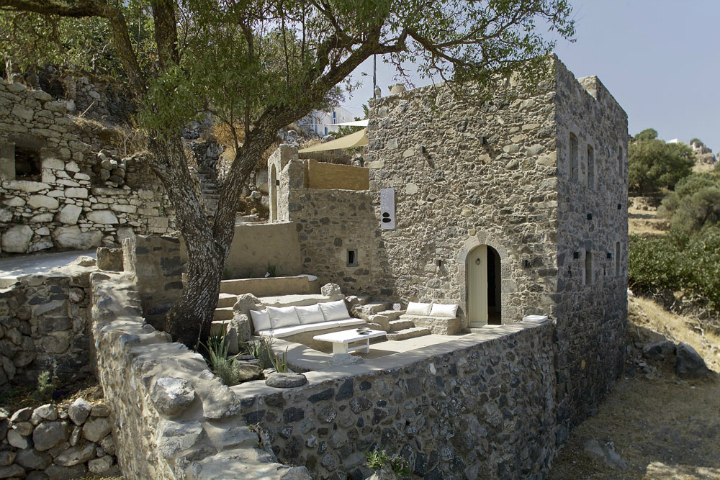 Its location within the stone-built settlement with terraced houses and narrow streets as well as the breathtaking view of the Aegean sea and the volcanic aura, create a truly unique atmosphere around the villa, seemingly untouched by time. 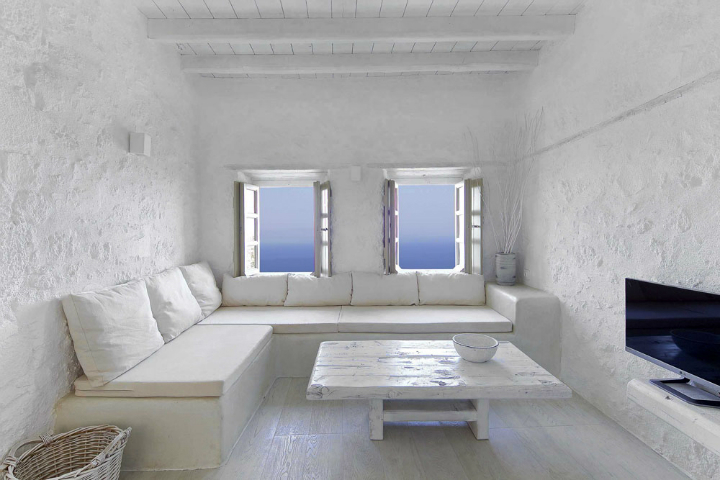 The emanating serenity and the offering warm hospitality contribute to its simple charm, in a landscape of natural Aegean Sea beauty. 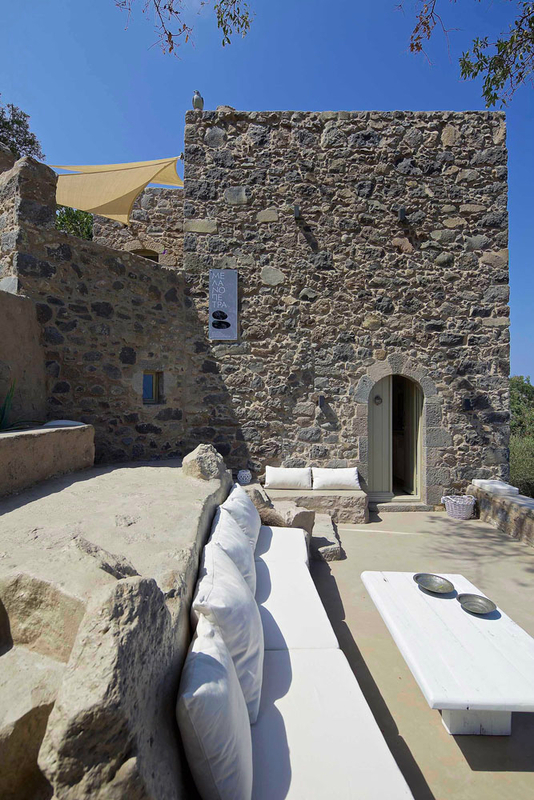 Melanopetra emerging from the rocky volcanic landscape, is a small paradise in itself, exuding subtle luxury, eternal elegance and harmony, part of a truly original environment, both natural and constructed. 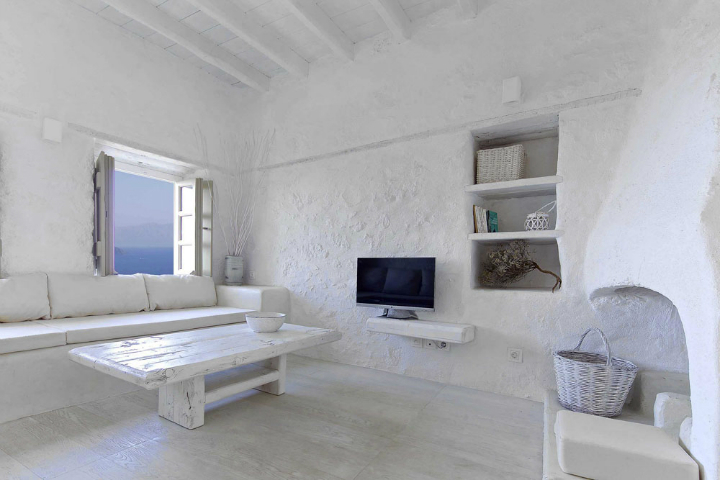 The evocative calm along with the cool mountain climate, make it a unique summer destination, whereas its thick walls, fireplaces, proper heating, and the mild local climate make it also an ideal winter resort. 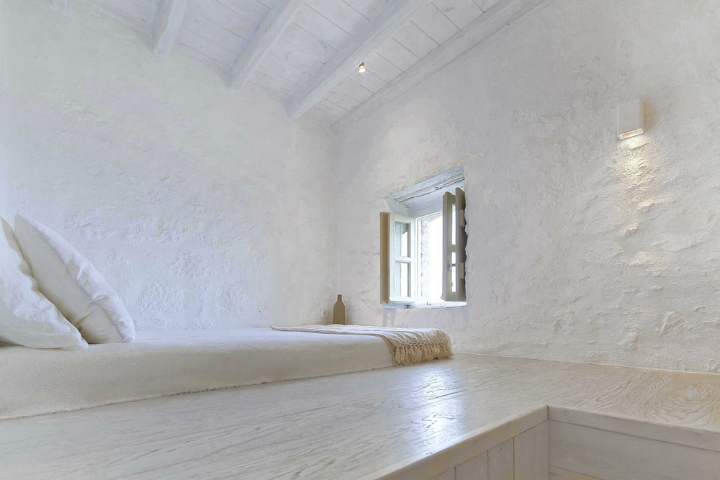 A proposition aimed at lovers of selective accommodation and high aesthetic quality offering a unique authentic experience to those who wish to go on holiday in a one-of-a-kind island with long-term history and enjoy a variety of alternative activities, tranquility, striking nature all over the four seasons of the year, far away from intense commercialization and mass tourism. 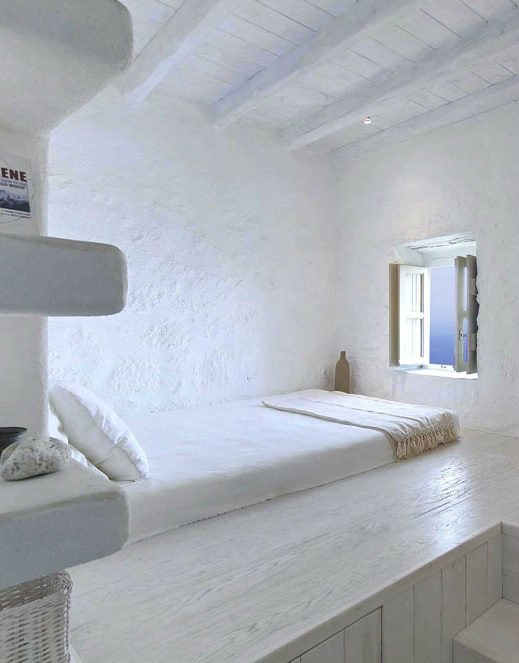 The post Stunning Atmospheric Villa On Nisyros Island appeared first on Decoholic.